ABC Consultant’s Advisory Group is composed of experienced professionals in disciplines covered by ABC. The Board provides advice and guidance with a particular focus on the strategy and operation of ABC Group. Ajay Mehra is a MBA from Lucknow University and has done Senior Executive Course, as a Chevening Scholar from Manchester Business School, UK. He is a seasoned CEO, having rich experience of building, managing and leading consumer businesses , across different FMCG brands and modern retail companies. Ajay has spent 18 years with Lakme , country’s premier brand of cosmetics and beauty care , across distribution , marketing , strategy , planning and eventually as Head of Sales and Marketing . After divestment of the brand by Tatas , he has successfully led the integration of the business with Unilever and managing the brand with Lakme Lever. An early entrant into modern retail , starting with the conceptualisation and launch of brand Westside, as an own label affordable fashion brand. Later as CEO with Times Group’s retail foray , Planet M , a youthful music and entertainment destination , built the brand within 7 years into a leader with multiple formats , a national presence through 150 locations . He had developed an employability oriented training business , with a state of the art centre for Retail industry with Edvance Learning , a startup venture . For the last 7 years, he has had International exposure with Tata International in Africa as an Executive Director of a subsidiary , focused on developing both B to B and B to C businesses in several African countries and business verticals . Currently, he is an independent consultant , handling assignments across FMCG, Africa and Strategy Development . He is a well networked and speaker at key national industry forums . Arun is a PGDM from IIM-Calcutta and has managed numerous assignments and roles in leading auto companies the last being MD of Nissan India. Presently he is an industry consultant, board member, corporate speaker and visiting faculty in prominent business schools. Arun became a part of the automotive industry when it was at a very nascent stage in India. 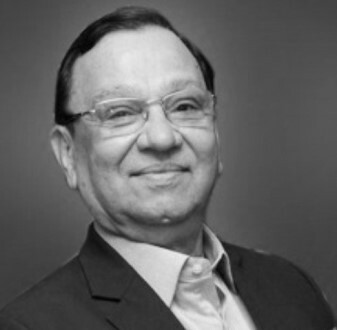 Over the past 3 decades, he has contributed to the establishment and growth of the Indian automotive industry. He has worked with Bajaj Auto, Maruti Suzuki, Mahindra & Mahindra in the past. He has been deeply involved in areas such as sales & after sales, brand building, strategic marketing, retail network expansion and development, rural marketing as well as formulating strategies for growth. Arun was a member of the Executive Committee of SIAM (Society of Automobile Manufacturers) the apex body of the auto industry. Chairman of Auto Expo 2018 held in Greater Noida in Feb 18. He is a prominent speaker in industry forums like CII,SIAM ,FADA ,World Auto Forum and National HRD Council. He is Guest speaker/Visiting faculty in prominent business institutions in the country including IIM Kolkatta, MDI Gurgaon ,IMI Delhi and IIM Bangalore. 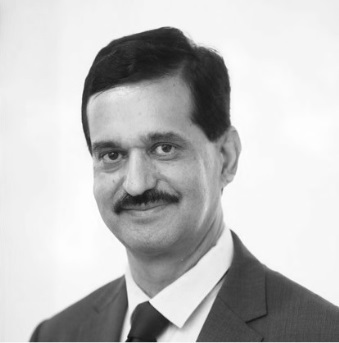 He has been a regular participant in panel discussion in prominent Business /General channels (ETV, CNBC, Aja Tak and ZeeTV) and is an independent director in the board of a reputed auto ancillary company Lumax Auto Technologies Limited. Mr Khan is a BITS, PILANI engineering graduate, with over 45 years of operational and leadership experience, Mr Khan is a thought leader, with a solid track record of building successful business organisations, transitioning family businesses to professional management & grooming next generation of business leaders. Mr Khan has been engaged as CxO with various telecommunication companies including Sterling(Swisscom), Hexacom, Bharti (Airtel) and Spice Telecom. In Bharti after handling operations as C.E.O. and exhibiting significant competencies in the area of corporate affairs was moved to handle the vital role of Chief of External Relations, working closely with the Chairman, Sunil Bharti Mittal. In the year 2011 he was appointed the Chief of Business Development in Metro Cash & Carry to help the company expand and establish it’s Indian operations further. 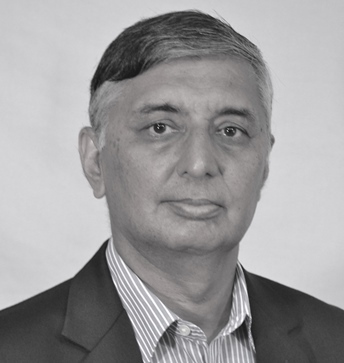 Post retirement, he has been the Executive Director, Asia Pacific region at Frost and Sullivan, Group President at Sharda University, Chief Advisor to Newgen Software Technologies, Advisor to ETA Ascon-Star Group Dubai, Advisor to Cellular Operators Association of India and Tower and Infrastructure Providers Association. Till recently Mr Khan was an Independent Director of National Waqf Development Corporation Ltd. Currently Mr. Khan is the member of the governing council of Maulana Azad National Academy for Skills, Member Coordination Committee of National Rural Livelihoods Mission (Govt. of India), Expert Committee Member, Rajasthan E-Governance Council, Telecom Advisory Board Member, Power Grid Corporation of India, Member of board of Directors / Governors of various other organizations including Chairman, Grid Infocom Pvt. Ltd.